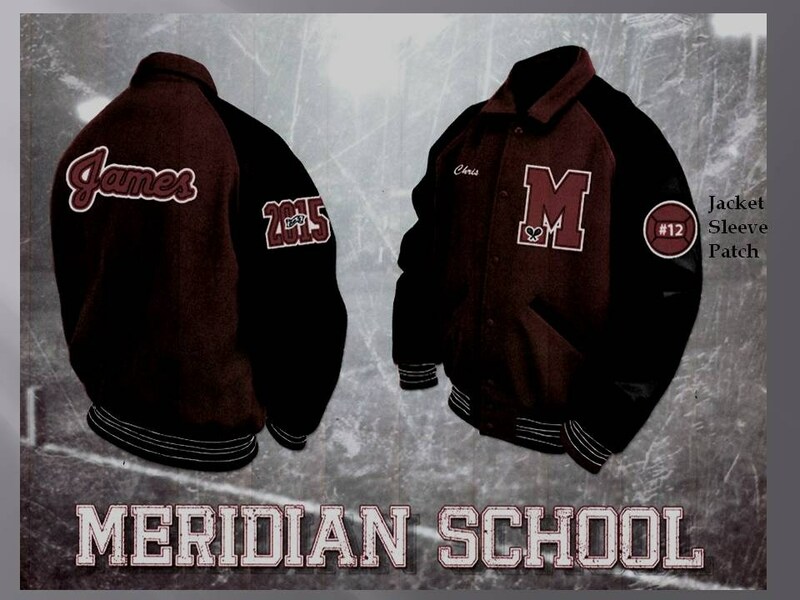 Sophomores - During the Spring Letter Jacket Ordering Window, Sophomores can also purchase a Meridian letter jacket with a Meridian "M" patch. They may also order an IB patch insert or IB jacket sleeve patch and any "Optional Spirit Patches." (Optional Spirit Patches are any patches that are not reserved for those who letter in that activity/group. Find the Reserved Patches here.) Letter jackets ordered during the Spring Letter Jacket Ordering Window will arrive in August, so that current sophomores will have them to wear their junior year. Learn more about how to letter here. Discover your Jacket Sleeve Patch options in your Letter Jacket Info Packet. Packets will be distributed during advisory to those who lettered the week before the Spring Letter Jacket Ordering Event. All other Sophomores, Juniors and Seniors who wish to order a letter jacket can pick up a packet from Mrs. Seaman as of May 9th. Learn more about the sizing and ordering event in school by reading When, Where and How below. Deadline to Meet Lettering Requirements - If you think you are eligible to letter this spring, please make sure all four of your requirements are met by April 18, 2019. Check the Spring Lettering Requirements here. Student Info Session - Friday, 5/10: Students can learn more about their ordering options during advisory in the Mays Library. Letter Jacket Ordering & Sizing Event - Get professionally sized for your jacket and place your order with assistance from our Herff Jones representative on Thursday, May 16th and Friday, May 17th from 1:00-3:00pm, on the Mays Cafe Patio. Jacket Sizing and Ordering Event with Herff Jones on Thursday, May 16th and Friday, May 17th on the patio outside the Mays Cafe. Parents may attend this event. Please park and walk outside around to the patio. Review this webpage to get started. This sizing and ordering event is open to parents. For questions about lettering, please email Meridian-athletics@mwschool.org after reviewing the Spring 2019 Lettering Requirements. For questions about available patch options, please email Meridian-athletics@mwschool.org. For questions about lettering nomimations, please contact your coach or sponsor. A letter jacket is traditionally worn to represent a student's school, team and/or competitive or leadership extra-curricular activity. At Meridian, a letter jacket includes the red and black jacket itself and the Meridian "M" patch on the front left (see image). The "M" may or may not include an earned insert (see Tennis insert in image). To earn an insert, the student must have lettered in that Meridian extra-curricular activity (see lettering requirements here). The IB insert is the only exception. 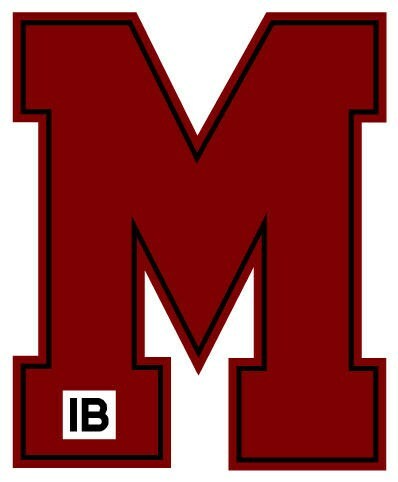 All Meridian students who are eligible to purchase a letter jacket and/or who have lettered in extra-curricular activity may choose the IB insert (see image below).